August 26th, we celebrate Women’s Equality Day. 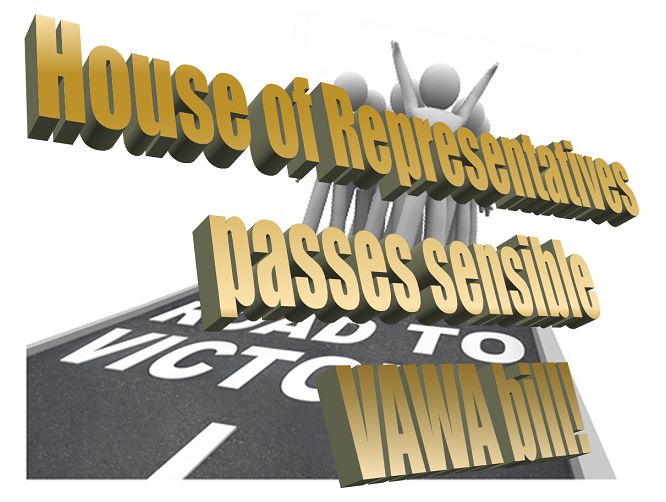 We commemorate the 93rd anniversary of the certification of the 19th Amendment, which granted women the right to vote. It’s hard to believe that less than 100 years ago, women did not have the right to vote. Advocates such as Susan B. Anthony, Elizabeth Cady Stanton, and Ida B. Wells devoted decades of hard work to ensure that women’s voices could be heard. As a result, historic change occurred, forever transforming our nation as we took another step toward a more perfect union. This past year, I received a very special birthday present from President Obama. He gave me an original copy of two historic documents—the “petition for universal suffrage,” dated January 29, 1866; and the Congressional resolution for the 19th amendment— “extending the right of suffrage to women,” dated May 19, 1919. Over half a century passed between the petition and women actually receiving the vote. And goodness knows there were numerous setbacks along the way. 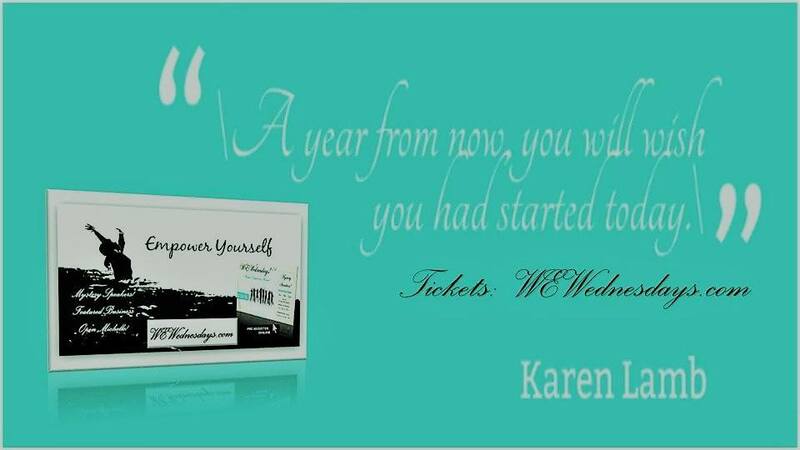 Many who started the journey handed the baton to others to finish it, but the effort continued, and was ultimately successful. This year, we celebrate Women’s Equality Day on the eve of the 50th Anniversary of the March on Washington, where Reverend Martin Luther King, Jr. stood before a crowd of hundreds of thousands, and delivered his famous “I Have a Dream” speech. Among those visionary civil rights leaders were courageous women, like Dr. Dorothy Height, whom you can see standing on the podium supporting Dr. King as he speaks. Whether through the Women’s Suffrage Movement, or the Civil Rights Movement, we are reminded of those women, and men who have worked so hard to make our country more equal. We look back at our history to inspire our future. 1776: New Jersey gives the vote to women owning more than $250. Later the state reconsidered and women were no longer allowed to vote. 1837: Kentucky gives some women suffrage in school elections. 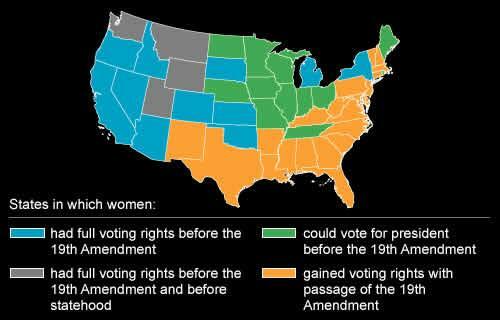 1861: Kansas enters the Union; the new state gives its women the right to vote in local school elections. 1869: Wyoming territory constitution grants women the right to vote and to hold public office. 1870: Utah territory gives full suffrage to women. 1893: The male electorate in Colorado votes “yes” on woman suffrage. 1894: Some cities in Kentucky and Ohio give women the vote in school board elections. 1895: Utah amends its constitution to grant women suffrage. 1896: Idaho adopts a constitutional amendment granting suffrage to women. 1902: Kentucky repeals limited school board election voting rights for women. 1910: Washington state votes for woman suffrage. 1911: California gives women the vote. 1912: Male electorates in Michigan, Kansas, Oregon and Arizona approve state constitutional amendments for woman suffrage. Wisconsin defeats a proposed suffrage amendment. 1912: Kentucky restores limited voting rights for women in school board elections. 1920: On August 26, a constitutional amendment is adopted when Tennessee ratifies it, granting full woman suffrage in all states of the United States. 1929: Puerto Rico’s legislature grants women the right to vote, pushed by the United States Congress to do so. 1971: The United States lowers the voting age for both men and women to eighteen. And just last week, in advance of today’s anniversary, the President paid a visit to Seneca Falls, New York, where the First Women’s Rights Convention was held in 1848, launching the movement for women’s equality. Today, the site is home to the National Park Service’s Women’s Rights National Historic Park. 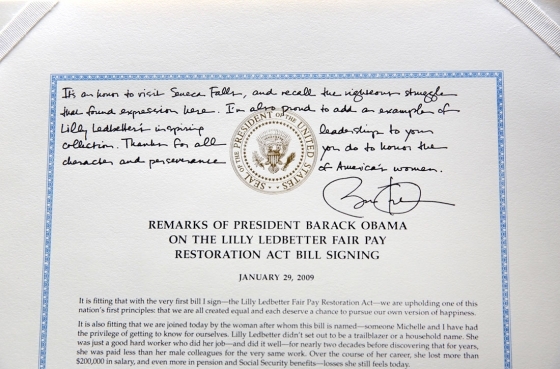 He acknowledged the leadership of the women celebrated in our history, and made a contribution of his own to that history – he presented the Park with a copy of the Lilly Ledbetter Fair Pay Act of 2009, the first bill he signed into law, making it easier for women to bring forward pay discrimination claims, as well as a copy of the remarks he made during the bill signing ceremony. A more equal future means women should have access to quality, affordable health care, and without being discriminated against by health insurers just because they are women. Thanks to the Affordable Care Act, women will no longer be charged more for health insurance just because they are women, and they are guaranteed to have coverage for things like maternity care, screenings like mammograms, and contraception services. Now we have to make sure that women and their families know about these benefits, and are get informed about the easy choices they will have starting October 1 to get coverage on terms that work for them and their families. A more equal future includes ensuring fair pay. Today, women still earn on average just 77 cents for every dollar a man earns, and African- American women, and Latinas earn significantly less. We need to pass the Paycheck Fairness Act. But President Obama isn’t waiting for that to happen, which is why he created the National Equal Pay Task Force, which is cracking down on equal pay violations at a record rate. No one can be truly equal when they are in fear for their safety. President Obama was proud to sign into law earlier this year the reauthorization of the Violence Against Women Act (VAWA). Since Vice President Biden initially authored the legislation as a Senator in 1994, VAWA has helped to decrease the rates of domestic violence nationwide, and given more women and girls the chance to live healthy and secure lives. On this Women’s Equality Day, we honor those who fought tirelessly for a woman’s right to vote, but we know that there is much more work to do. Let us keep marching forward together. House Council on Women and Girls.